Starting a community garden can be a terrific way to grow vegetables and help people in your neighborhood. But before you pick up a spade or seed catalog, it’s a good idea to keep a few pointers in mind. 1. Think about what kind of garden you want to start. How big do you want it to be? Who will help tend it? What kinds of crops will you plant? Will you share the harvest with a local food pantry, area seniors or others? What kinds of vegetables would be most useful to the intended recipients? 2. Look around your community to identify a potential spot for the garden. Search for a plot that gets lots of sunlight and is close to other critical resources, such as water. Make sure it is not located too far away from the people who will work in it. Gardens easily can become out of sight and out of mind. It’s helpful if the plot is in a neighborhood or close to a school, YMCA, church or other community gathering place. 3. Find out who owns the land. Get in touch with them to tell them what you’re thinking of doing, and ask permission. If they say yes, it’s not a bad idea to do a soil test. The Analytical Lab and Maine Soil Testing Service at the University of Maine is a good resource to learn the nutrient content, organic matter, lead and other trace elements in your future garden’s soil. 4. 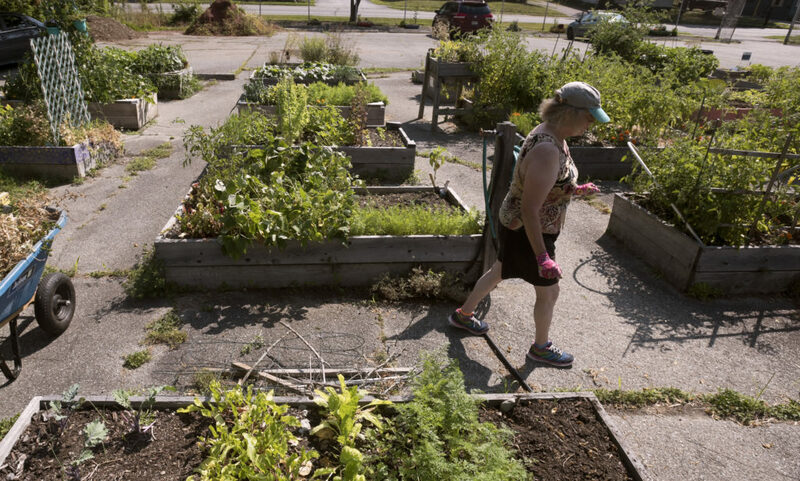 Look around to see if there are any possible sponsors who could help provide seeds, tools or soil inputs such as compost to the community garden.